Samsung isn't afraid to try. When met with opportunity, the company doesn't blink. It jumps in headfirst; an "act now, ask questions later" mentality. Over the years, we've seen numerous smartphones and tablets in every conceivable size, in every conceivable market, spewing from the Korean company like an unstoppable tech avalanche. Seeing what sticks, the saying goes. And we're left with things like this: the Galaxy Note Pro 12.2, an enormous Android machine seemingly meant for business professionals, and maybe the occasional student. The base model retails for $750. Described by Samsung as a device that "changes the rules," the Galaxy Note Pro 12.2 features every last mobile idea the company has had in the last few years—but amplified. Multi-window has been enhanced, S Pen is more prominent than ever, and you get the benefit of a full-size on-screen keyboard (which can be dreadful). There are other features, too, such as Samsung's RemotePC, e-Meeting, and Cisco WebEx—all features largely designed for the business environment. The focus is not unlike Microsoft's Surface RT and Surface 2—a kind of tablet/laptop hybrid meant to do more than watch video. 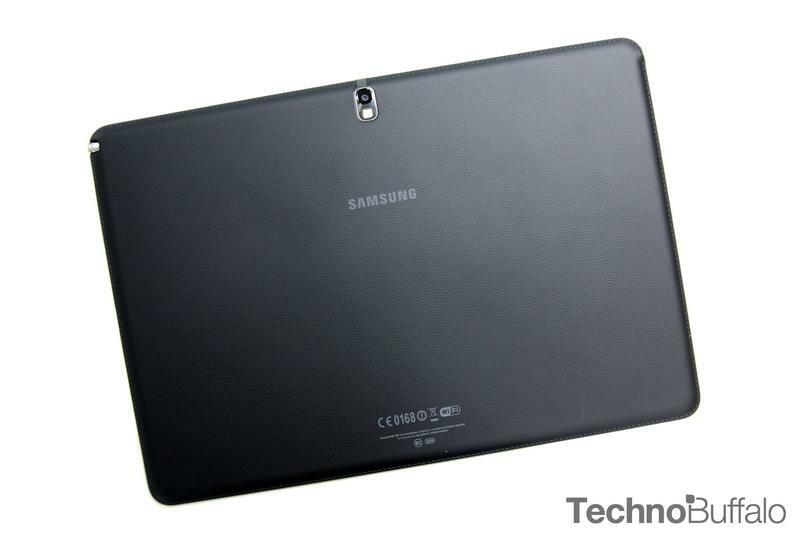 At 12.2-inches, however, Samsung's behemoth Galaxy Note Pro teeters on the edge of necessity and tablet Bermuda Triangle. 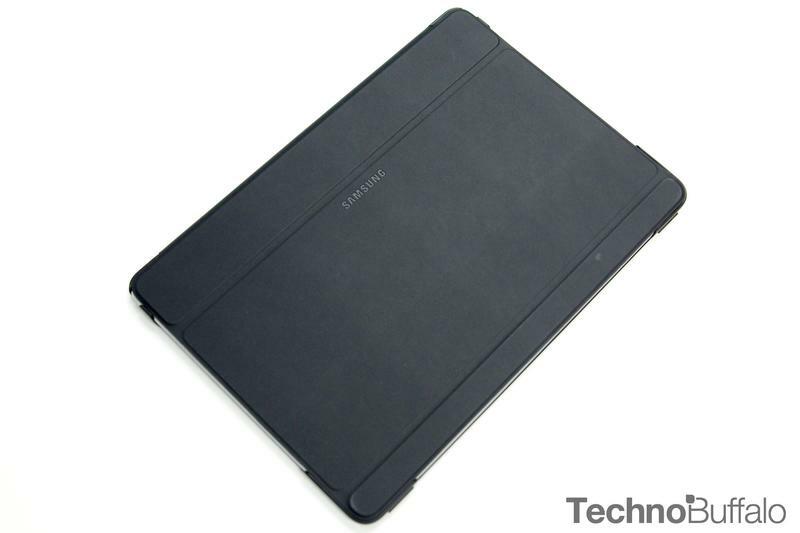 Would someone that already owns a 11- or 13-inch laptop really need a 12.2-inch prosumer tablet? 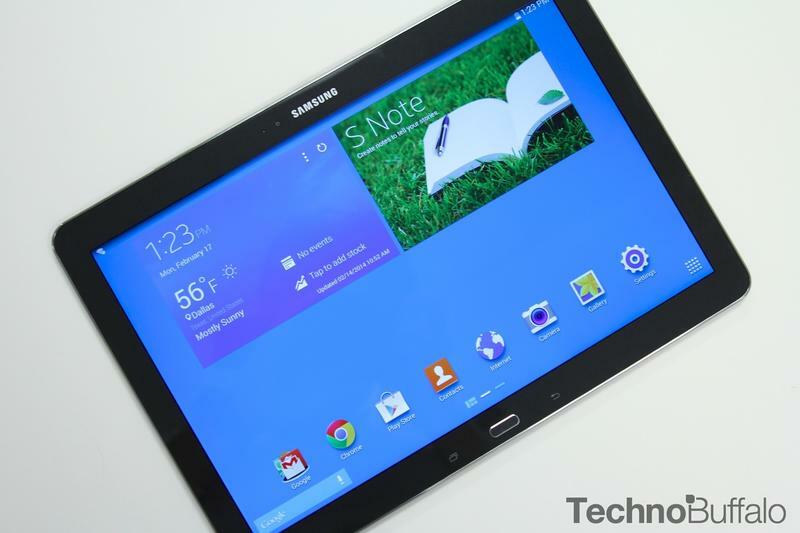 Unlikely, even if the Galaxy Note Pro promises to be a more convenient and portable option. This isn't like a Kindle Fire HDX, which is focused solely on providing consumers with a platform to consume. This is an everything-and-the-kitchen-sink-too device stuffed inside a large tablet's body, putting your business needs first and consuming needs… somewhere in the periphery. Consider it an "adult" tablet, if there ever was such a thing. Samsung's affection for plastic just won't quit. While consumers have been busy fawning over designs from Apple, Asus and even LG, Samsung seems unwilling to part ways with its preferred material. (The company has its reasons.) We see it in every single mobile product the Korean company has ever released, with very little variation throughout the years. For many, it has become a running punchline, a criticism. 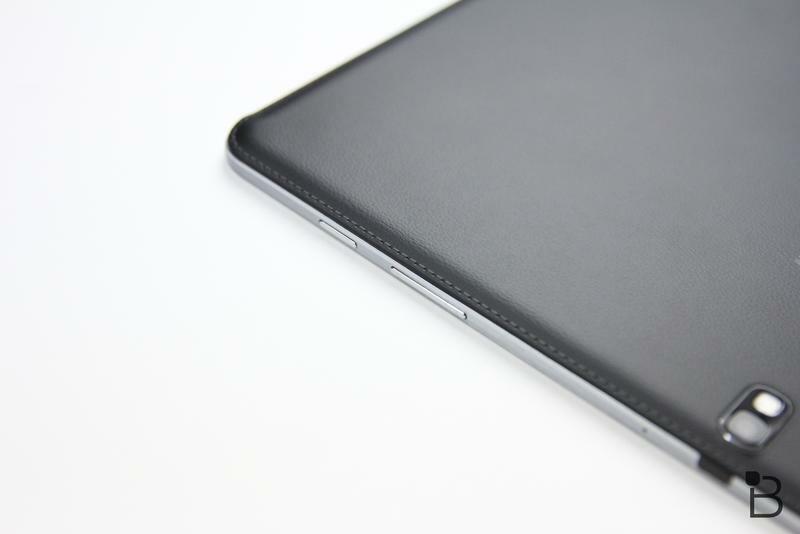 But don't begin to think for a second that the Galaxy Note Pro 12.2 isn't a handsome device, because it is. 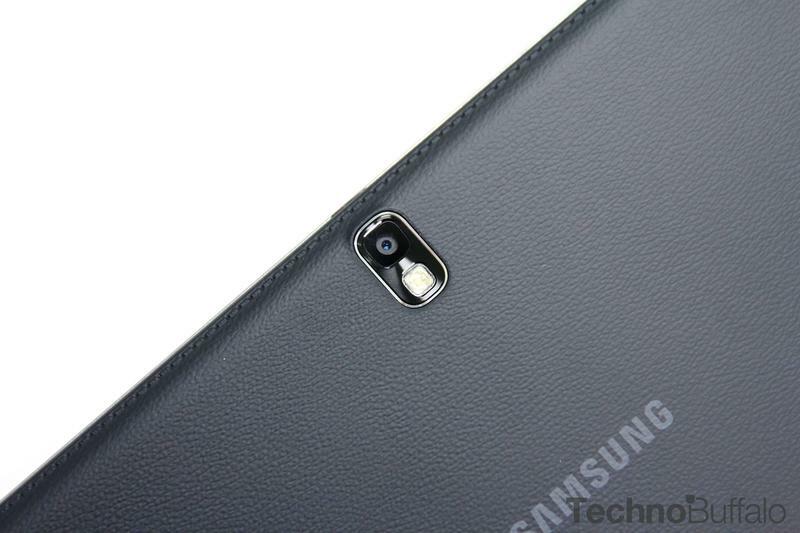 Similar to the Galaxy Note 3, the Note Pro 12.2 features a faux leather soft-touch back complete with fake stitching. While that description doesn't sound particularly extravagant, it looks like something an executive would carry, and certainly merits its Pro designation. It's an illusory design that mimics, but it works, and it feels great over such a large canvas. For a tablet that tries to fit into the business niche, it looks the part, helping to lift the design into a professional category. 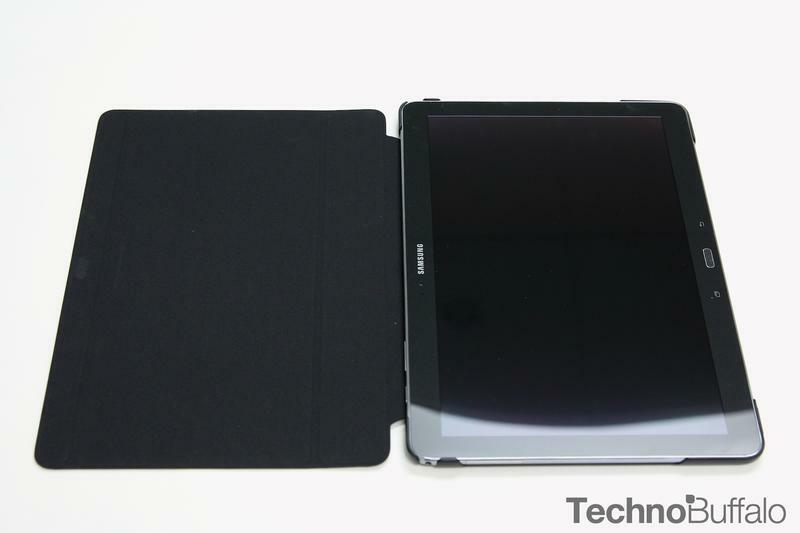 The design still can't match the class of an iPad, but it should be recognized as residing near that upper echelon. Not only does it look nice, but it feels nice, too. The black (or white), textured matte material is wonderful to touch, comfortable without feeling slippery or grimy; it can get smudgey, but what device doesn't? The size of the Note Pro 12.2 means the device is heavier than most, but that's to be expected. It just means that fatigue while holding it will kick in quicker; you'll just have to accommodate accordingly. Unless you're watching a marathon of your favorite TV show, chances are you won't be holding a device of this size for very long. 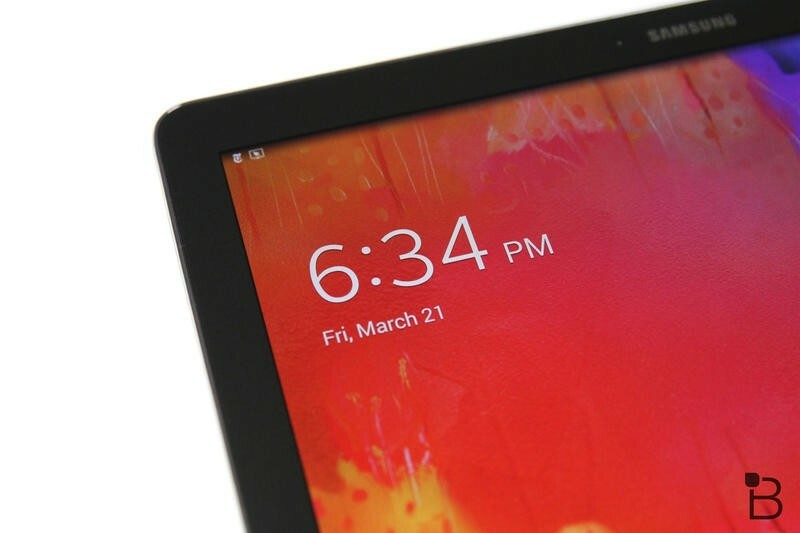 The design should feel familiar to anyone that's used any of Samsung's more recent tablets; in particular, the Note 10.1 (2014 Edition), which we got a glimpse at late last year. Between the two, things have simply been stretched out and beefed up and refined. Like the 10.1, the Note Pro 12.2 is essentially designed for use exclusively in landscape mode because of its large size and aspect ratio. That might limit the device's overall flexibility somewhat, but it shouldn't bother buyers. If you're purchasing this device, you already understand that it's more suited to certain use cases; not that you can't hold it in portrait, but it feels pretty awkward—and looks kind of insane. However, its 12.2-inch (2560×1600) display is the perfect size for business and productivity—and it looks so, so terrific. Want to share something with a colleague? The Note Pro 12.2 provides an enormous canvas to do so; Samsung displays are typically not an issue, and here is not different. Movies look awesome, games are big and bright, and other content provides plenty of space to do whatever it is you need to do; read, watch, write, etc. Being a power machine, the size is definitely an advantage. I didn't quite understand Samsung's reasoning behind such a large tablet, but I get it: size matters, and the Note Pro 12.2 is big because it gives users a bigger object with which to work with. The version we reviewed sports a 1.9GHz quad = 1.3GHz quad-core processor, 8-megapixel camera, 3GB of RAM, 9,500mAh battery, Stylus S-Pen, Wi-Fi and 32GB of internal memory. It also comes with Android 4.4.2 KitKat out of the box, microSD support, a single USB 3.0 port, and other ports typical of devices today, including a microUSB and 3.5mm headphone jack. 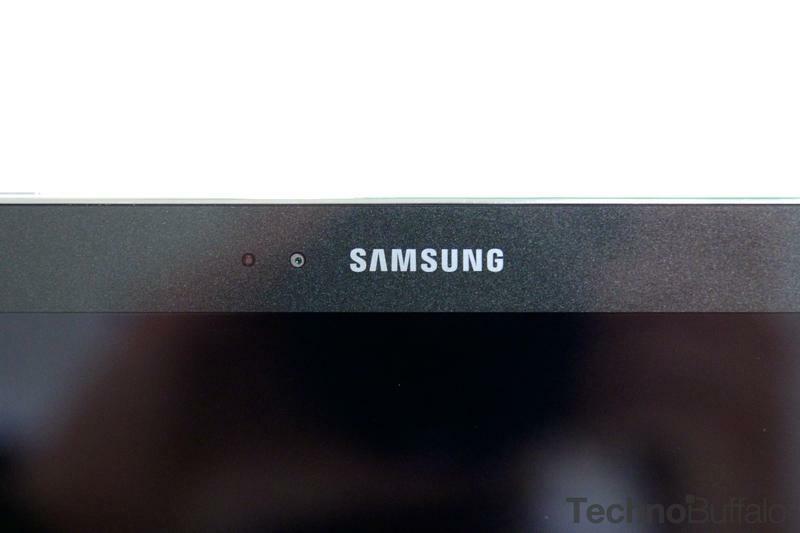 Samsung also offers an LTE-equipped model, which will sport a Snapdragon 800 chip. 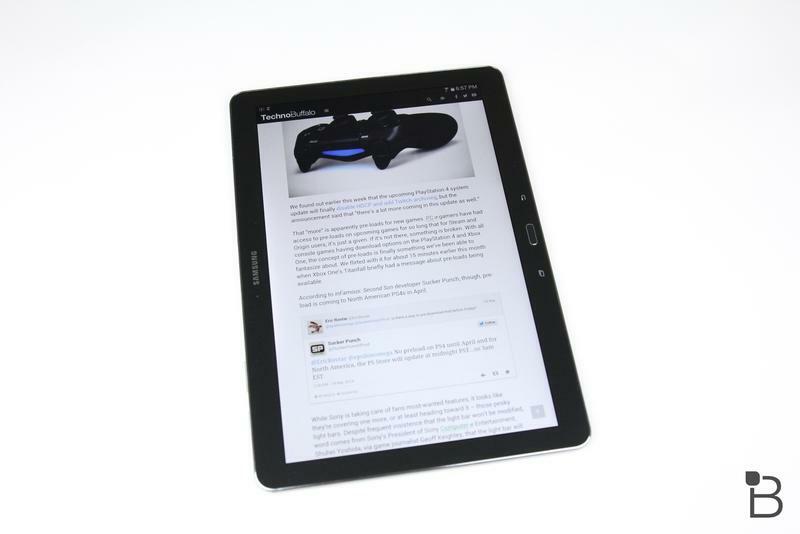 The Galaxy Note Pro 12.2 is like that person you know who always overpacks and over-prepares. Instead of bringing a small duffle for a quick weekend trip, they bring two full suit cases. This is the exact opposite of a device like the Nexus 7, which comes with the bare essentials and allows you to build up your own experience. Here, Samsung essentially feeds you exactly what to use, with a huge package of "perks" that the company believes will sweeten the overall deal. You're not just getting productivity apps for business and education use, but apps to keep you informed and up-to-date. In total, there are almost 30 third-party apps already on the Note Pro once it boots up for the first time, which is pretty excessive compared to most devices. (You are left with about 25GB of available storage on a 32GB model, however.) For purists and minimalists, this kind of hand-fed bloat might seem like overkill, but most of the apps are apps you'd probably download anyway, such as Twitter, Dropbox, and Netflix. 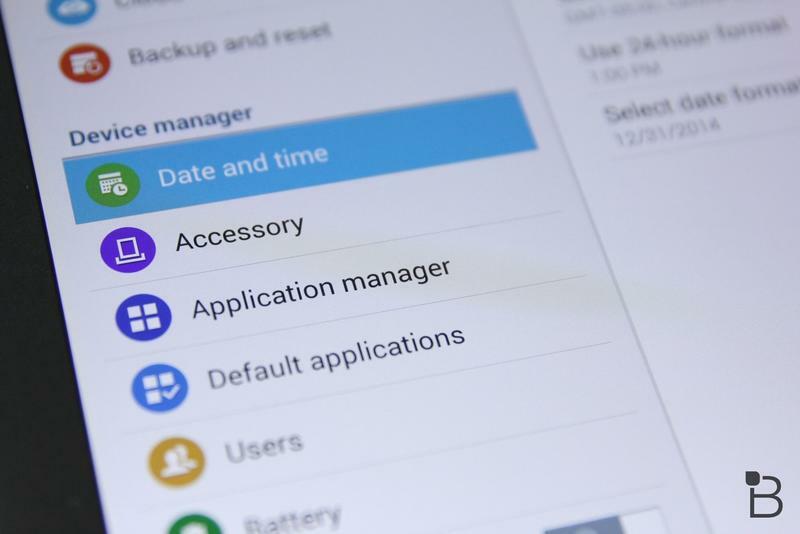 Many of the other apps are specifically meant to help you with productivity; there's e-Meeting, Remote PC, and many of Samsung's own apps and built-in features, many of which are designed for use with the company's S-Pen. The S-Pen has become a big component of Samsung's devices, but it is especially important here. Many of the company's familiar features are accounted for, including Air Command, Action Memo, Screen Write, Scrapbook, Sketchbook, S Note, Pen Window and more. Every conceivable action you can think of doing with pen and paper, Samsung wants you to instead do with the Note Pro 12.2. 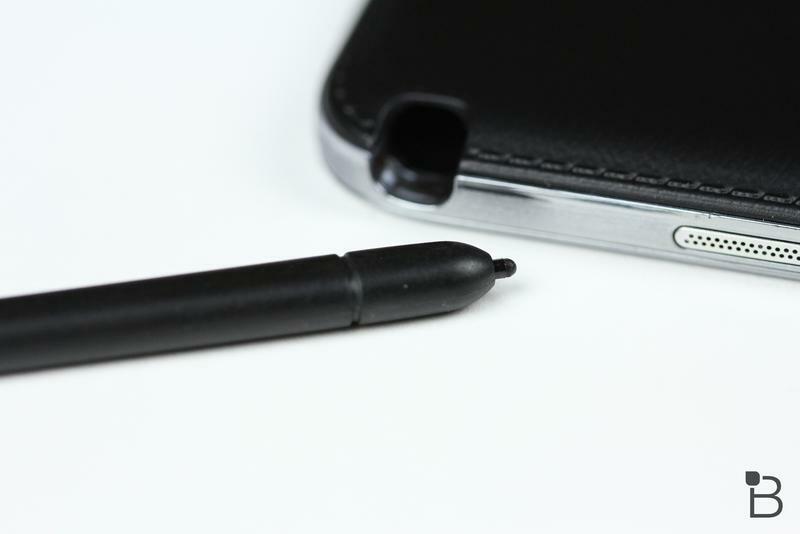 The small and nimble stylus is responsive and easy-to-use, and folks will definitely get plenty of mileage out of it. 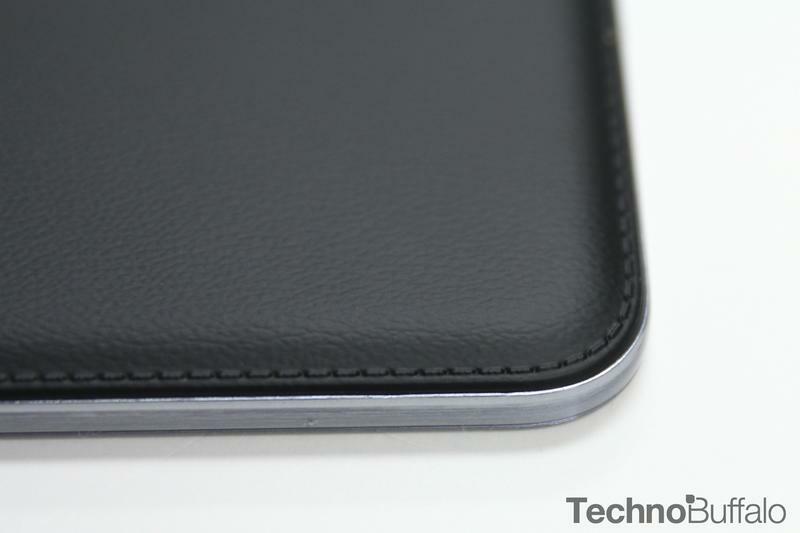 But it's still not really the mainstream attraction Samsung wants it to be. I'd wager most average consumers are perfectly content to use their finger despite the S-Pen having a number of hidden talents. 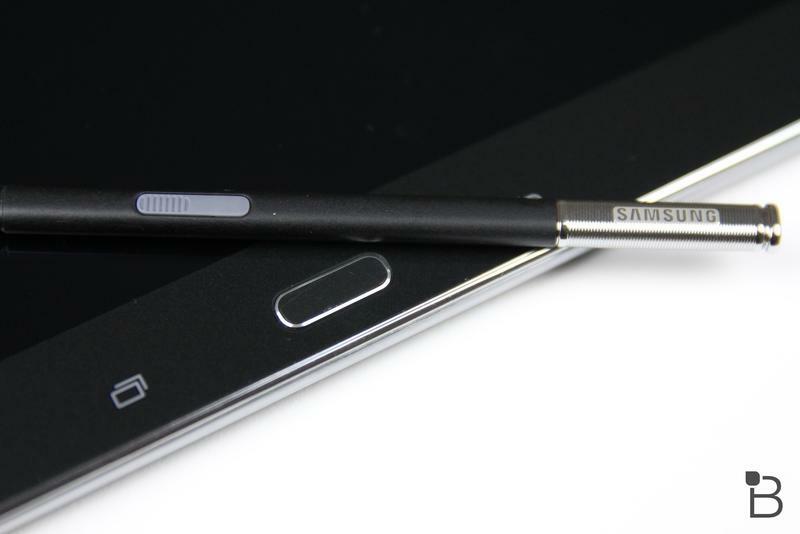 It's worth noting that Samsung's S-Pen is at its best when playing with Samsung features. 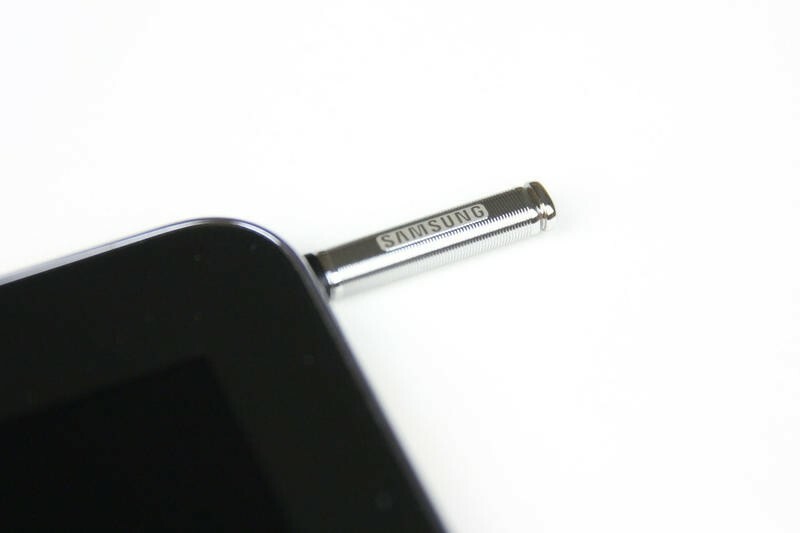 Anything else, such as third-party apps, and it's nothing more than a replacement finger that you can sheath and unsheathe from the tablet's S-Pen holster. 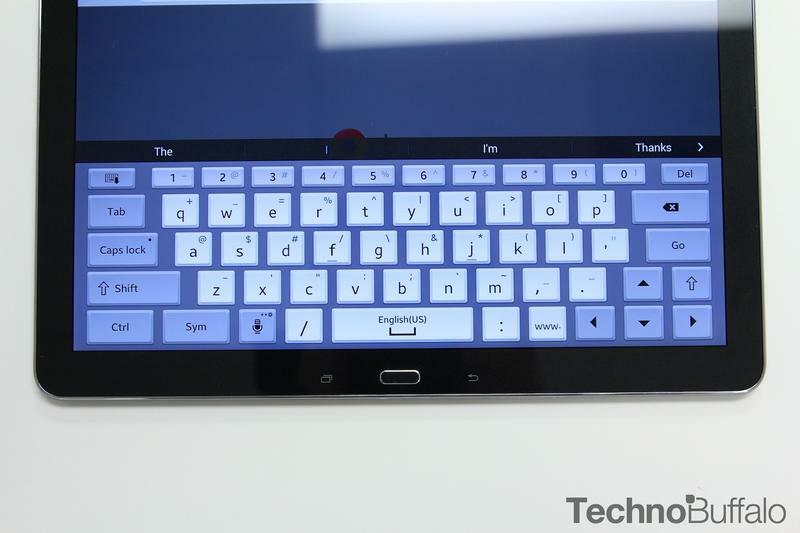 Samsung has a clear vision with how it wants the Note Pro to be used, but it can be overbearing and even limiting. If you already have a preferred app for editing and writing documents, chances are you'll completely ignore Samsung's own apps, which means the S-Pen is nothing more than a plastic add-on that you'll get anxiety over because it can easily be misplaced. 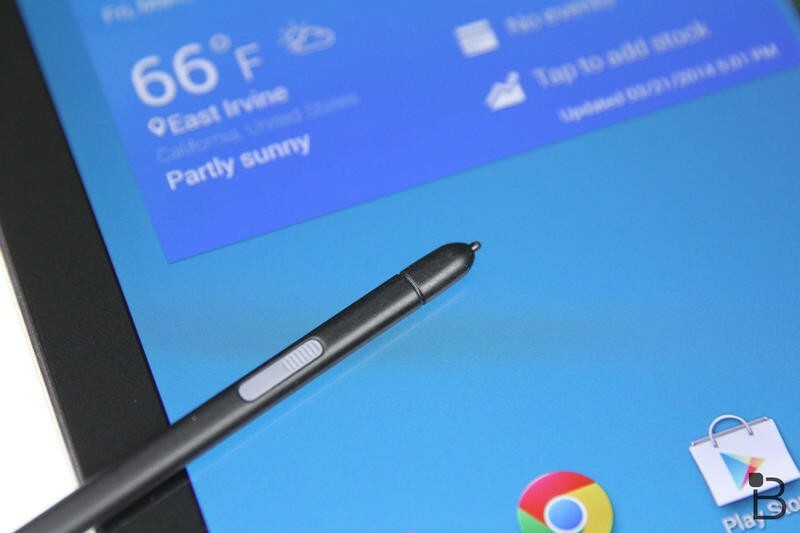 When S-Pen is in its natural environment, however, it's fairly useful and the features Samsung built seem fitting for a large tablet environment. But most of the time the stylus will probably sit in its little cubby, hibernating until there's that one rare instance when you might need it. Samsung's vision of what the Note Pro should be seems at odds with what Android has evolved into—even Google piped up to voice its frustrations. While other companies have dialed back somewhat on Android tweaks—hello, Motorola—Samsung's are as thick as ever; here, TouchWiz is heavier than its ever been, with a new Magazine UX (more on that in a minute) and the ability to open four apps at once. You know what can open multiple apps at once? 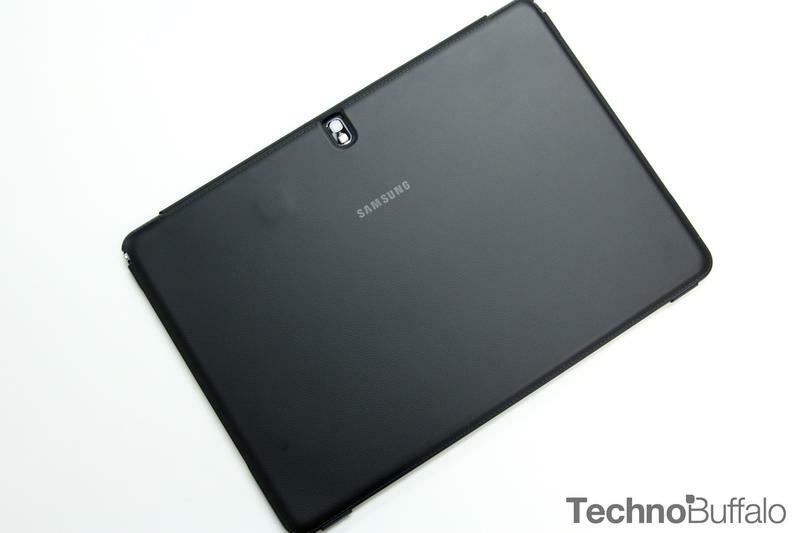 A laptop, and it does so much more capably than Samsung has managed in the Note Pro. You can count on the company to make a beastly tablet stutter, even though it has 3GB of RAM and it's running the most optimized version of Android. 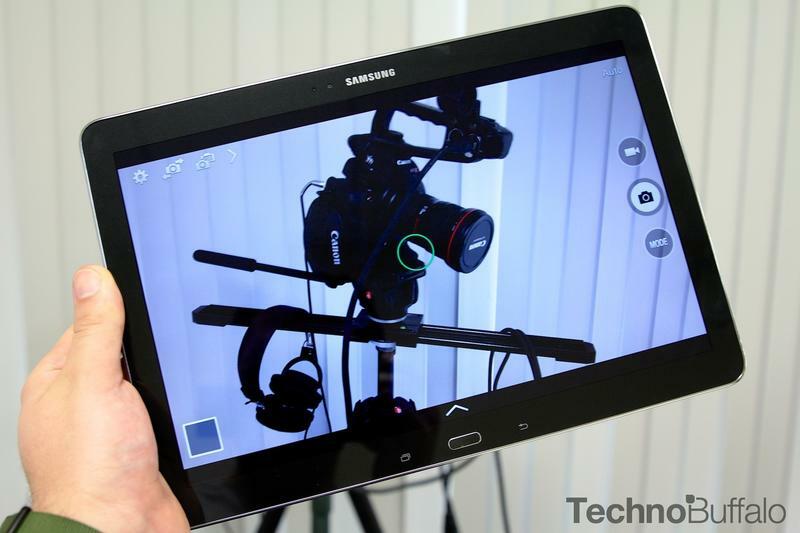 The problem here is that Samsung comes up with a poor approximation of real-world multitasking. Stuffing four apps onto your screen sounds neat. 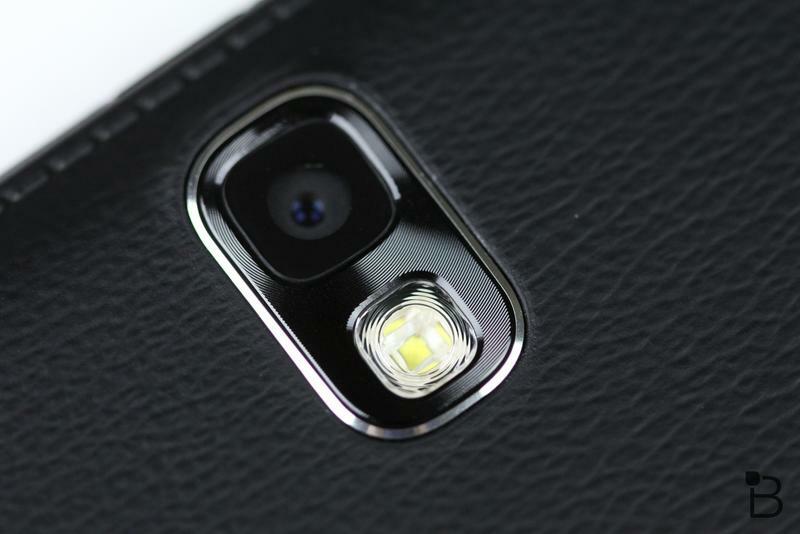 But in practice, it bogs the Galaxy Note Pro down immensely, making it something you never want to use. As a flagship productivity feature, it fails miserably, and really calls into question Samsung's ability to consolidate its own ideas with the Android environment—features for the sake of features. Considering Samsung wants this to mirror (and maybe even replace) a full-fledged laptop, prosumer customers will be very disappointed with the Note Pro's multitasking performance. For simpler tasks, the Note Pro is fine. But if you really push it to its limits the way Samsung advertises, its performance will disappoint. While the device's pace with power-heavy tasks might be a problem for some, this thing has a battery that will easily last through a day of heavy usage. And probably longer if you only perform typical tasks, such as Web browsing and email. If you use this consistently throughout the day—let's say at school—you'll be able to open documents, edit photos, check Twitter feeds and much more without making much of a dent. Throw some games, movies and music in there, and the battery will definitely drain faster, but not significantly so. You won't have to worry about searching for a power outlet during lunch time, though you'll probably need to charge it up overnight for the next day. 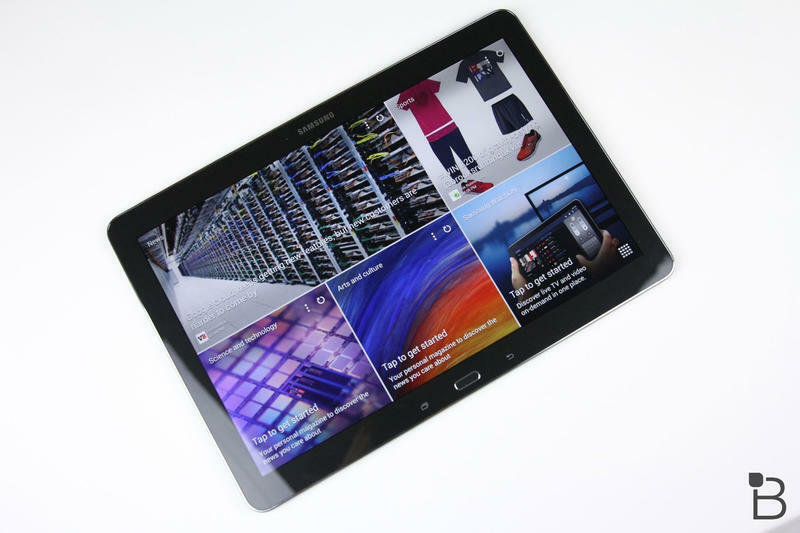 Samsung's Magazine UX is essentially Flipboard, designed in collaboration with Flipboard. 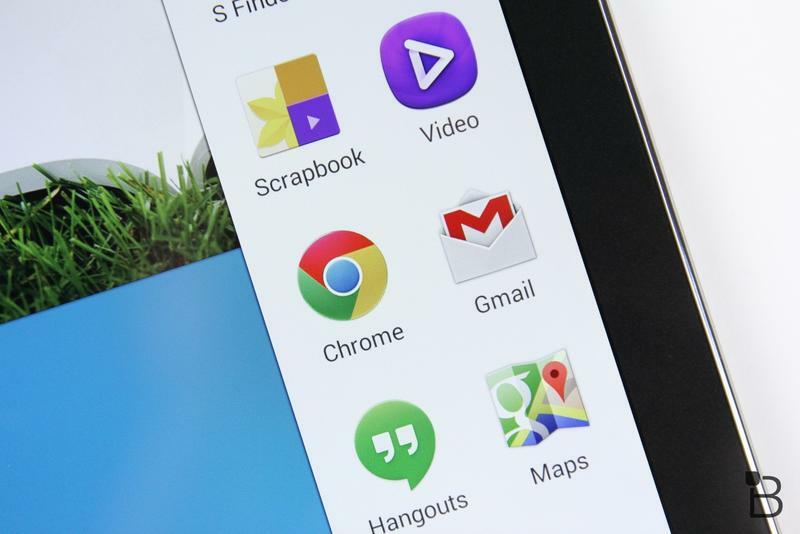 Your initial homescreen is outfitted with a few widgets, some Google apps and other apps that you'd typically use; on the bottom left corner there's a persistent Google Search bar, and on the bottom right is an app drawer button. 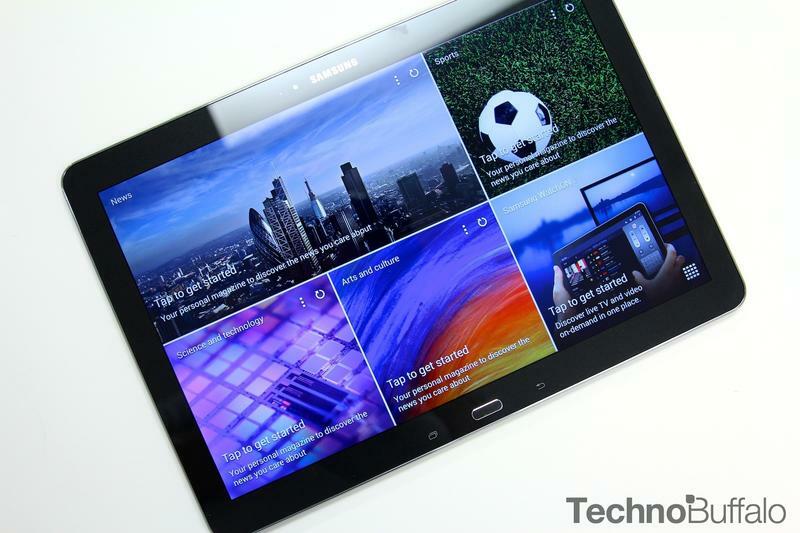 But swipe over again and you'll see Samsung's Magazine UX flung right into your face. You'll be able to curate your sections with categories such as sports, news, business, arts and culture, and more. There are also tiles conveniently dedicated to your calendar, email and more productive applications. The experience can easily be customized to your experience. However, there's actually no way to get rid of it, so no matter how much or how little you want on your homescreen, Magazine UX will be there waiting. 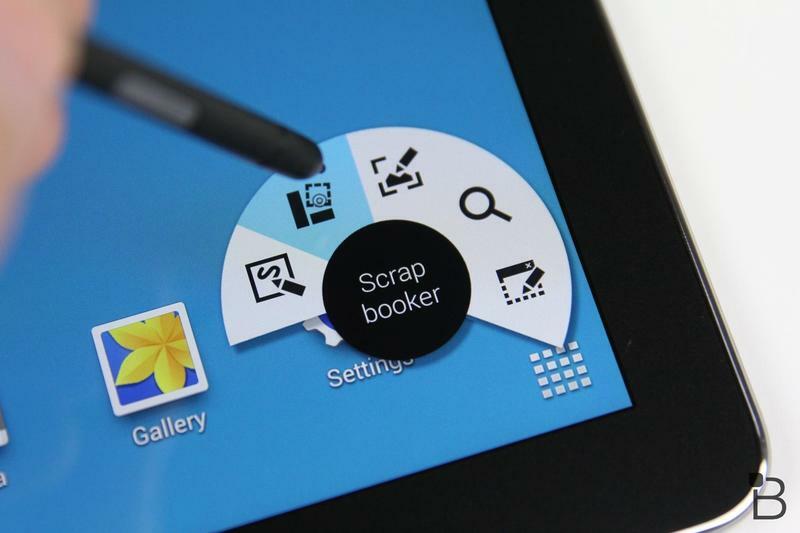 TouchWiz overall looks familiar, and comes with plenty of neat functionality suitable for the tablet environment. Adding a new homescreen, for example, is simple (so is deleting one), and adding an app in multitasking is really intuitive—simply slide over from the right edge of the screen and a tray of apps will slide out. 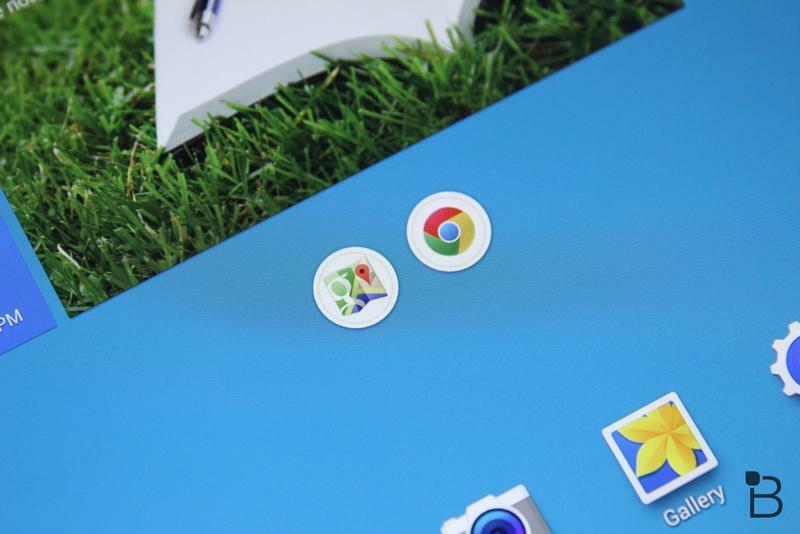 From there you can either drag apps and snap them in sections on the homescreen, or open up popup windows, making them look like a browser window you'd see on a PC. Hit the home button and these apps will be minimized into small app bubbles, similar to what you'd see with Facebook's Chat Heads. It goes on like that throughout the experience; the notification tray looks fresh, as does the setting menu, with a much cleaner and easy to navigate interface. Probably the Note Pro's most notable app of the stock lineup is Remote PC. I see the Note Pro 12.2 more as a desktop replacement—the price to me suggests this is a high-end item you don't buy in addition to a desktop you already have. 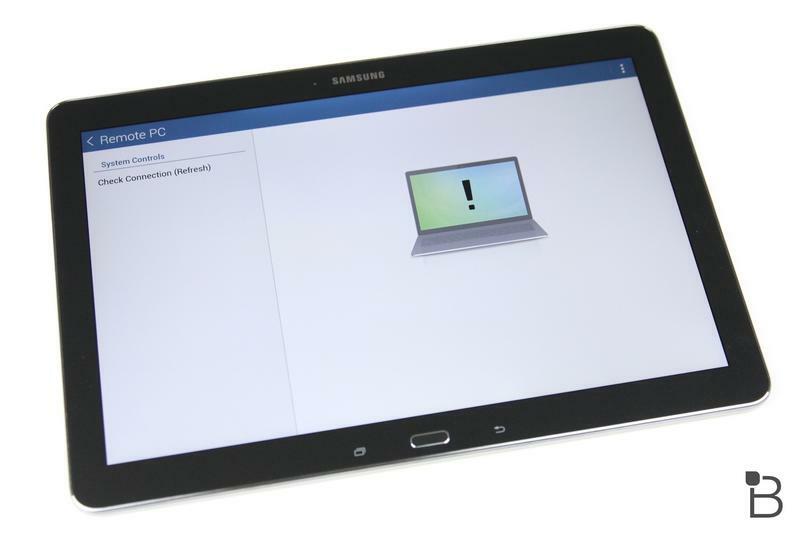 But in the event you do own both, Remote PC makes it easy to remotely access your PC or Mac. Setting it up is a cinch so long as you have a Samsung account. Once you do that, you are required to download Samsung's remote access software, and then enter in a corresponding authentication key, which appears on your computer's screen once you've completed the necessary steps. We were lucky to get the Note Pro with a mouse and keyboard, so using Remote PC was fairly straightforward and worked as well as you'd expect on a tablet. 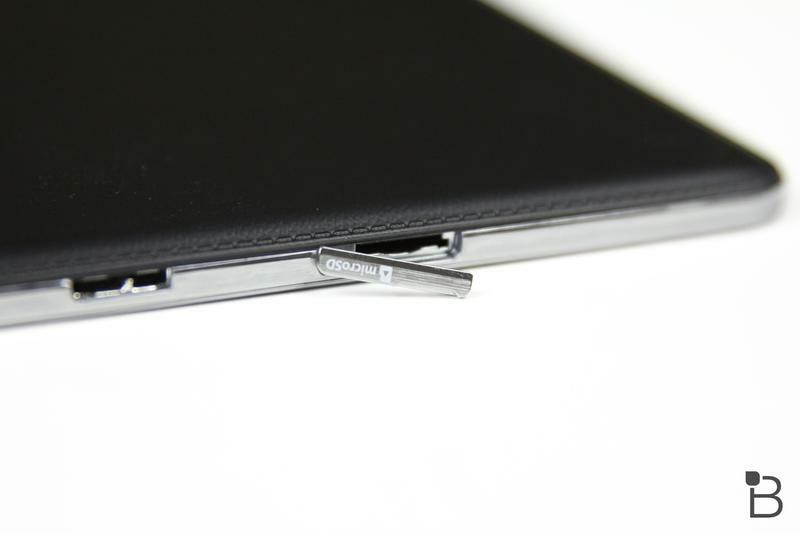 However, you can also take advantage of the S-Pen (or your finger) for navigation. If you've never tried controlling a PC remotely, the experience is certainly strange, but the Note Pro does it just about as well as anything else. You will run into lag depending on your Internet connection, but overall using Remote PC will allow you to—just as the name implies—control a computer remotely with relative ease. Remote PC probably won't be something you'd use very often (much like many of Samsung's features), what with our growing reliance on the cloud and such, but the option is there should you need to use it. On Samsung's official YouTube channel, the company shows an example of a user remotely editing a photoshop document from their Note Pro on their work computer. That's one scenario where Remote PC will come in handy, though I'd imagine editing a photoshop document remotely will be more trouble than it's worth. Here are the facts, straight from the websites of competing companies (Apple and Microsoft). An entry-level iPad Air (silver or space grey) is $499, and comes with 16GB of storage. The 32GB, meanwhile, starts at $599, and the 64GB model is $699. Finally, there's a 128GB model, which retails for $799. The 128GB Wi-Fi model is $50 more expensive than Samsung's 32GB Wi-Fi model, though you do get the benefit of microSD support in the Note Pro 12.2. We won't get too in-depth with whether or not the Air is or isn't better, so you can read our Air review for more information on Apple's tab. Microsoft has a few different options, but both devices kind of take the same approach; one of which just has an inferior version of Windows (though it's still pretty darn good for what it is). For a 32GB model, the Surface 2 starts at $449 ($300 less than the Note Pro 12.2) and sports a 10.6-inch Full HD display; the size difference between it and the Note Pro 12.2 isn't that dramatic, and the Surface 2 definitely has a superior build. The Surface 2 also comes with Office, which is probably a huge deal to a lot of students and businesses compared to what's available on Android, though interest in Office is reportedly declining. Microsoft also offers the more powerful Surface Pro 2, which is essentially a full computer stuffed inside a tablet's body (and it's pretty awesome). The size and build are essentially the same as the Surface 2, as is the screen resolution, though the specs are ramped up significantly to power through traditional PC tasks. Prices, however, reflect the device's capabilities. The 64GB model of the Surface Pro 2 starts at $899; the 128GB is $999; 256GB is $1,299; and the 512GB is a whopping $1,799. The device isn't cheap sure, but it offers a ton of functionality and power; the Note Pro, as mentioned, starts at $750. There are many other tablets, too, but we assume the Note Pro is on your radar because you want to perform more powerful tasks, in which case the iPad Air and Surface 2/Surface 2 Pro are the closest you'll get to what the Note Pro is attempting to achieve. 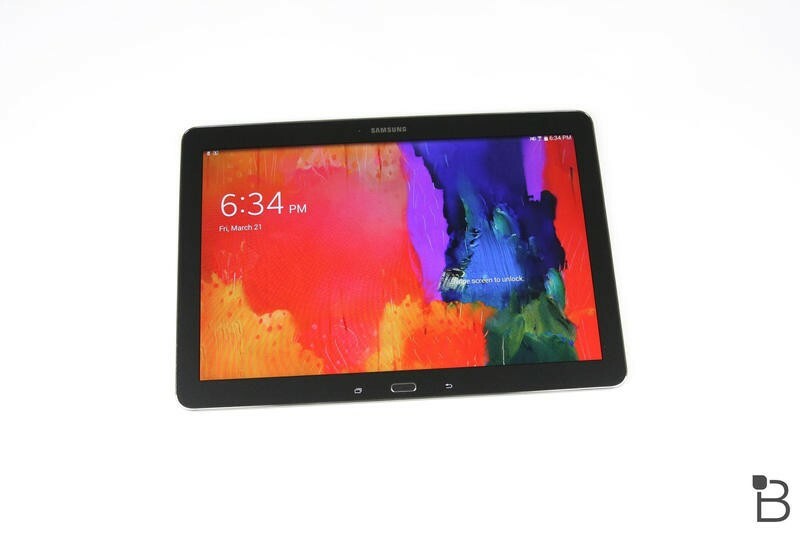 The Galaxy Note Pro 12.2 is representative of Samsung's favored approach, which is to overstuff every imaginable feature into a single device. 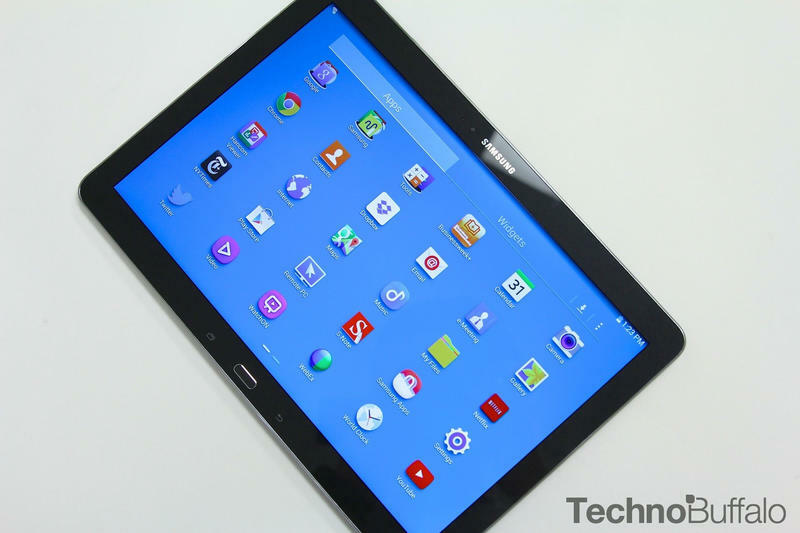 The Galaxy Note Pro 12.2 is representative of Samsung's favored approach, which is to overstuff every imaginable feature into a single device. 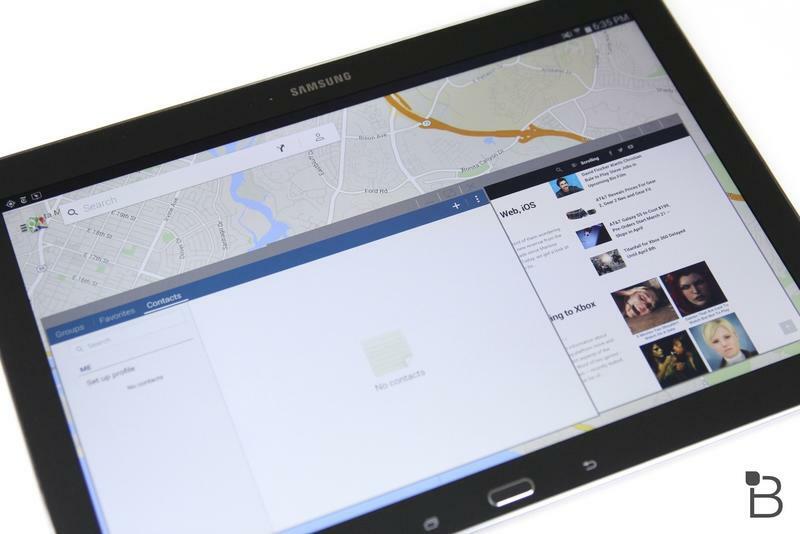 The Note Pro does it better than most Samsung tablets, but not by much. Frankly, the cost of the Note Pro 12.2 compared to other Samsung slates isn't warranted—you're better served to buy a Nexus 7 and Chromebook or cheap Windows laptop. 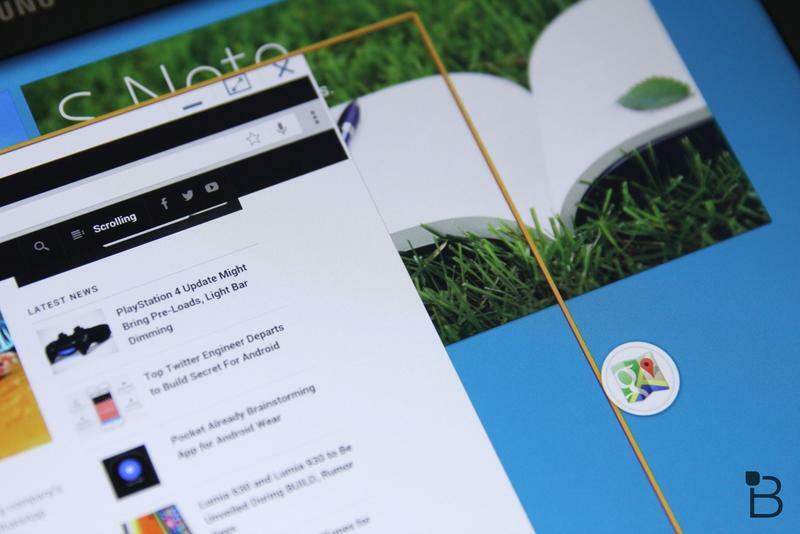 The competition is cheaper (and better), and the functionality of the Note Pro is sometimes more trouble than its worth—RemotePC and Magazine UX are neat additions, kind of. There might be small group of consumers out there who crave a 12.2-inch tablet, but I imagine more people are more interested in smaller form factors, which seems to be where the tablet market is trending. The Note Pro's battery is pretty great, and the build quality is top notch. But taking everything into consideration, is this really worth $750 or $850? Not many customers will be convinced, no matter how many competition-bashing commercials Samsung releases. To really get full usage out of the Note Pro, you'd need to purchase an external keyboard (the onscreen keyboard can be awful and way too crowded), which will set you back another $69, and to comfortably prop the Note Pro up, you'd probably need Samsung's Book Cover, which is also $69. Combined, you're looking to spend a minimum of $888 (without tax)—there's also an S Mouse, which is $39.99. That's not much cheaper than a Surface Pro 2. Even if this does suit the needs of business users, there are too many compromises, and the Note Pro can be frustratingly slow when you really push it to its limits. That's hugely disappointing given the device's specs and price. However, if you feel you can deal with the Note Pro's quirks, and can stomach the unwarranted price, by all means jump right in. 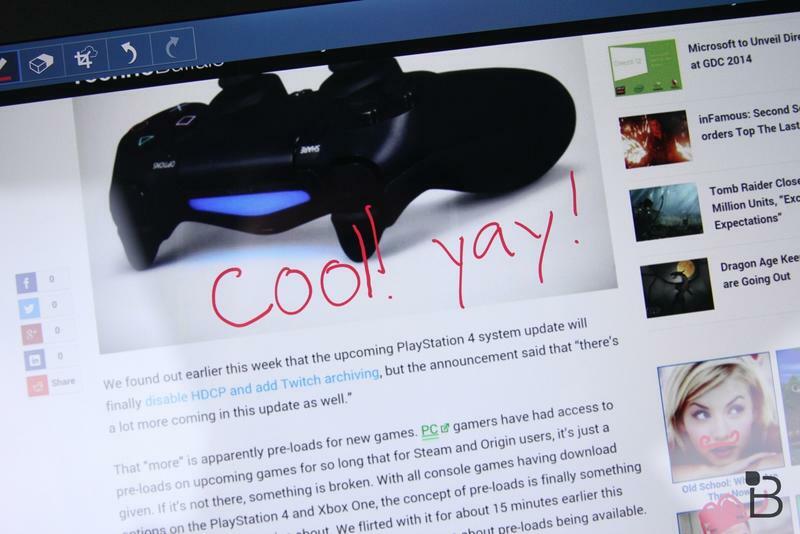 You'll still be able to watch movies, read books and send off emails without issue. There are just so many other cheaper and better options out there, whether you're simply buying a Nexus 7 and laptop, or just going with a Surface 2, the Note Pro 12.2 swings for the fences, but can only manage a double at best. 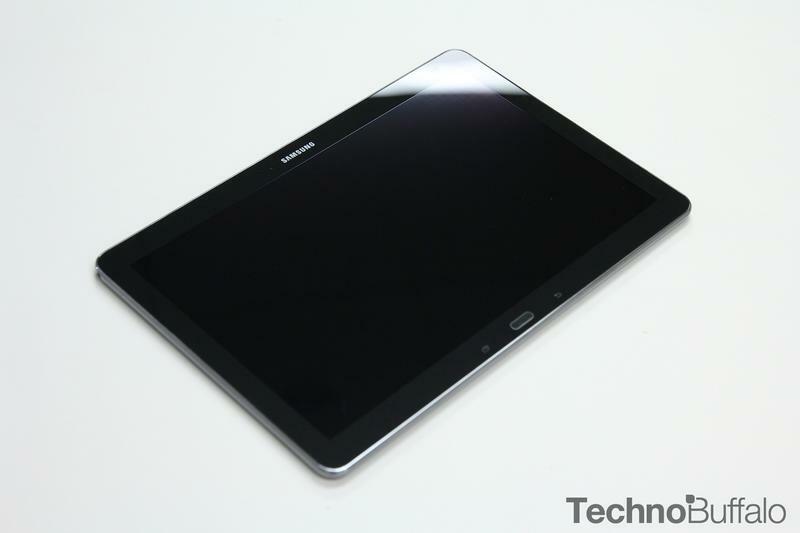 Samsung sent TechnoBuffalo the Galaxy Note Pro 12.2. Brandon used the device for five days before drafting his review. If you are watching this video online, you already know the importance of a reliable, sustainable and scalable network. TalkTalk's Business network is just that. When it comes to the delivery of your services it's essential to know that you can rely on your network provider. Providing over 3 billion voice minutes a month, 4 million customer lines and 5 million broadband connections and 674Gbps of peak broadband traffic, our fully owned Next Generation Network is industry-leading, and the most connected all-IP network in the U.K. Built for business, it provides reliability and value across all of your communications. Head on over to talktalkbusiness.co.uk to learn more.